Back on the market, financing fell through. 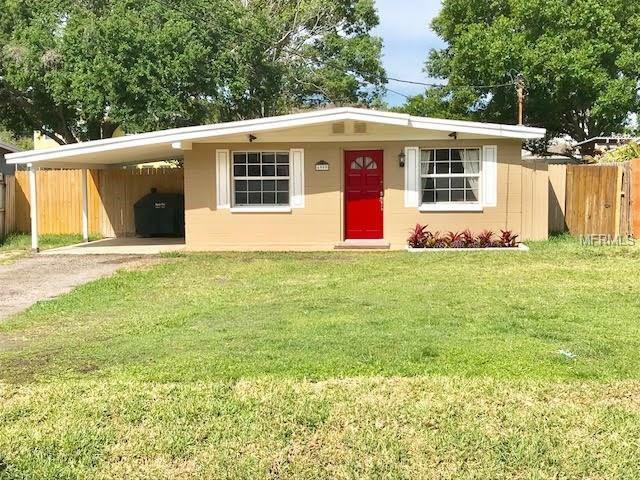 Adorable well maintained 3/1 situated on a 50 x 125 size lot located in South Tampa. New exterior paint and laminate floors in the bedrooms. The updated kitchen features stainless steel appliances, tile floors and eating space. The family room sits right off of the kitchen which is light and bright and boasts laminate flooring. The home also has a nice size utility room with upper cabinet storage above washer and dryer. Enjoy the large backyard entertaining family and friends. AC and roof replaced in 2011. No Flood Insurance required. Close to Macdill AFB, A rated Robinson High School(IB), and within minutes to picnic island, dog park and Gadsden softball and little league complex. Also nearby is Trader Joes, Fresh Market and Whole Foods, along with many other dining and shopping centers.